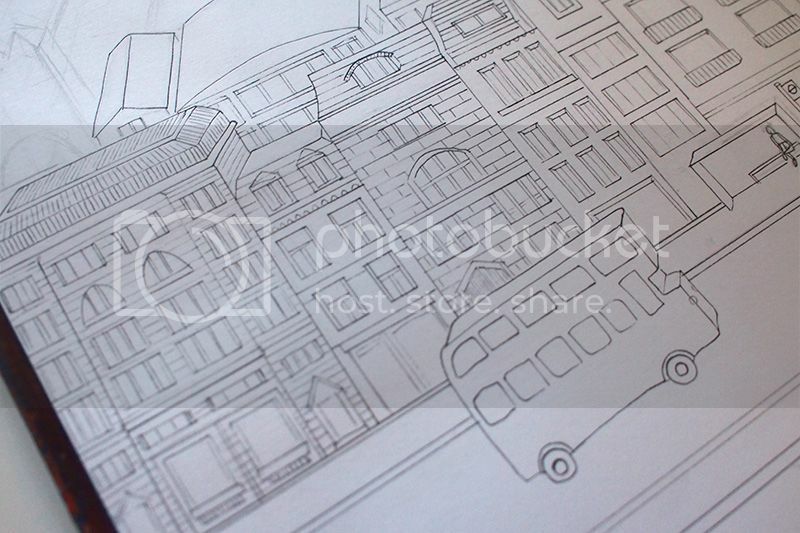 I've started another city illustration, more teeny buildings with even smaller brickwork. I'm working in more vehicles and people into this one, and remembering why I don't often include them - they're dang hard to draw! I've been taking some cues from the great Miroslav Sasek. Probably my all time favourite illustrator, he definitely had the knack for conveying lots of personality through his characters. 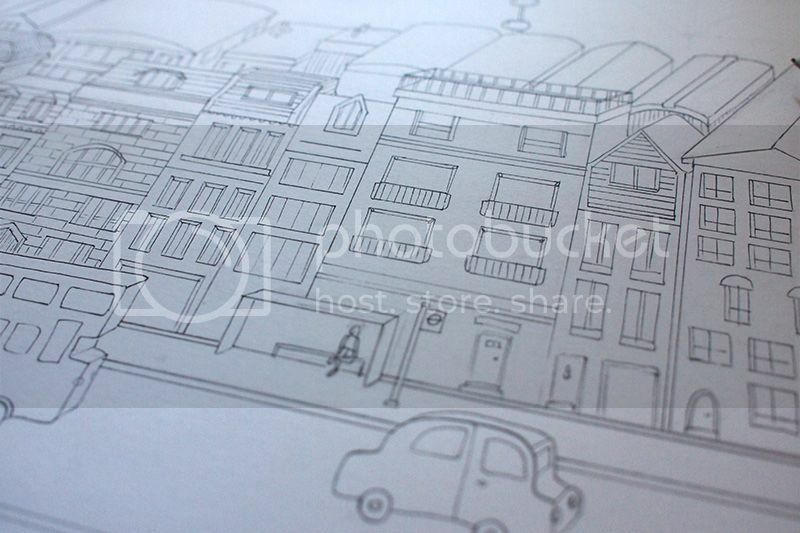 Any guesses which city it is this time around?